Click on the forum button above to visit our forum page. Share, trade, sell seeds, plants, tools or other garden related things with your fellow gardeners. It is like a message board but easier to find the info you want. We will be happy to answer questions by email. The Zazzle items are made to order. You place your order directly with them. This is not the maker of the shirts we buy in bulk to sell locally. Click on icon above to go to newsletter page. Members please check our calendar for events. Beginning gardeners or experienced, we all can learn something. For those just starting out there are many sources of information online. Use your favorite search engine to find pictures and articles to help you on your way to successful gardening. 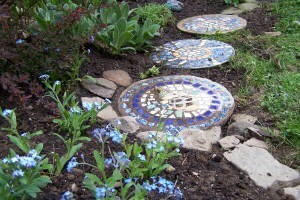 There are thousands of gardening blogs to help you with subjective advice. We've started listing them here on our blog page. Our local library and more broadly, our county library system allows you to find the latest and greatest in magazines, videos and books both traditional paper and digitally downloadable. The more you learn the more enthusiastic you become, which creates a more effective gardener. 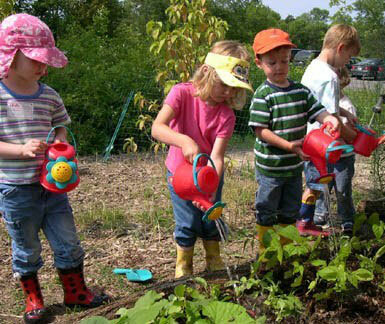 In a community garden there is a social element too. The ability to learn from more experienced gardeners or a mentor is a wonderful perk. Garden art and structures enhance any garden area when used effectively and in balance with the natural beauty of plantlife. More on this subject may be found HERE. Vermiculite vs Perlite: What is the difference? Several years ago, I had an experience where I specifically needed perlite for a gardening project. When I got to the gardening section of this store, I discovered that they were out of perlite. I asked a store employee for help, and he confirmed that perlite was indeed out of stock everywhere in the store. Instead, the employee tried to sell me vermiculite, insisting they were basically the same thing. While this is true in one respect, this mistake could also ruin your project. While working for the same purpose in one respect, perlite and vermiculite are completely opposite in another. So it is important to know the difference between perlite and vermiculite so that you are never influenced to do something that could ruin your gardening projects by incompetent store employees. It's simple. 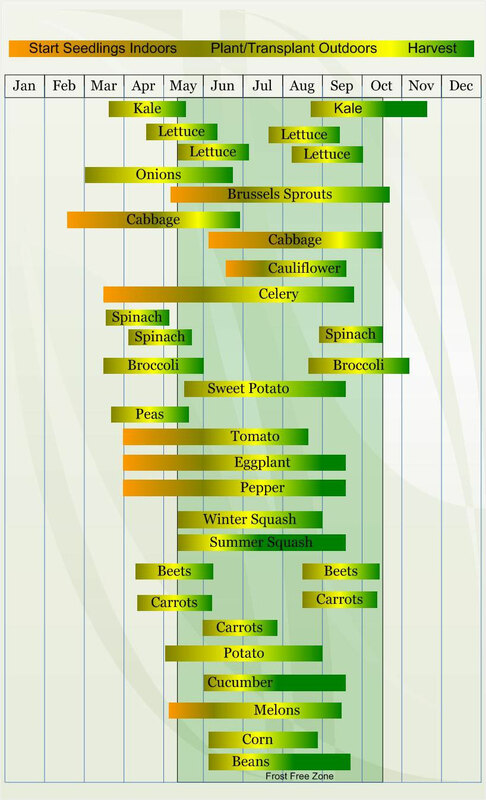 Make this brew and use it on your garden and lawn. You are basically breeding beneficial bacteria and innoculating the ground with them giving a jumpstart to heal the soil. These are the organisms that get killed off with chemical fertilizers. 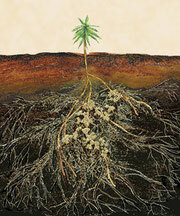 These are the organisms vital to rich, balanced soil. Here are a couple videos explaining the process. Very simple. The one fellow makes it seem a little bit more complicated, but the items you use to feed the bacteria are just a bit of molasses and some kind of fish/seaweed/organic non-burning fertilizer. 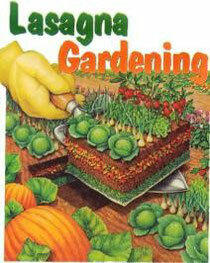 For years I have been experimenting with feeding my topsoil so I can grow the healthiest plants. Now the plants in my garden are so lush and healthy I feel I have hit the nail on the head, so I want to let you in on my discoveries. 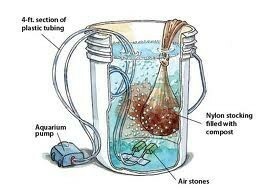 They are so simple, and use only materials from natural sources. Best of all, they’re all free! Soil organic matter is created by decaying plants and the dying leaves, twigs and flowers that pile up loosely on the soil surface. Millions of soil-dwelling insects and organisms assist in the process of breakdown and decomposition, and their carcasses will eventually also enrich the soil. This continual process of decay is an essential part of nature’s cycle, and it is from this that fertile soil is created. Contrary to popular belief, chemical fertilizers with synthetic origins do not restore soil health and fertility; in fact, they actually destroy physical and biological properties of soil. They can even combine with minerals already present, making them unavailable to plants. High concentrations of nitrogen, phosphorus and potassium from chemical fertilizers glut and overload plants. Plants outwardly look lush, but fast growth produces weak and watery tissues that attract pests and disease. Replicating nature, by replacing soil nutrients and protecting the fragile soil web of life, results in healthy plants that do not attract problems with pests and diseases. All it takes is a bit of time in the dormant seasons – November, December, January and February – feeding the soil. These are the months when it’s cold out and you will relish some outdoor activity and exercise. 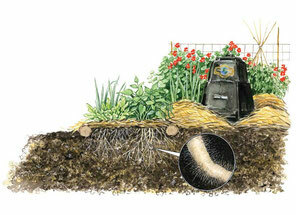 Add compost to your garden. 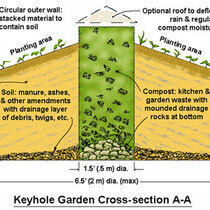 Compost is the gardeners’ version of humus, but it is produced much more quickly. 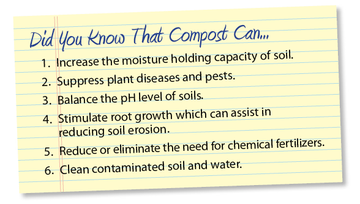 The quality of compost as an organic soil additive depends on the residues from which it is made, as well as the extent to which decomposition has occurred. TIP: For best results, vary the layers of material when building the compost pile as much as possible, and provide air, moisture and heat for the fastest and most thorough breakdown. Add leaves and leaf mulch to the garden. Shredded leaves break down very easily, and create a soil tilth that is wonderful to work with and teems with earthworms. TIP: In the fall, run a lawnmower over a pile of leaves on the drive way. This reduces bulky leaves to one tenth of their volume, and results in a manageable pile of shredded leaves. Spread these over your beds in six-inch layers as soil-building mulch. Tree roots penetrate widely through topsoil and deep into subsoil, taking up valuable nutrients, that are then stored in the leaves. When leaves break down, they return these nutrients to the soil. Take full advantage of stockpiling leaves. I heap mine in a corner of the driveway and just forget about them. By spring the pile has started to break down into coarse leaf mulch, which we use in potting mixes and as garden mulch. After one full year, the pile will have broken down into beautiful, rich black leaf mulch, the texture of superb garden soil. 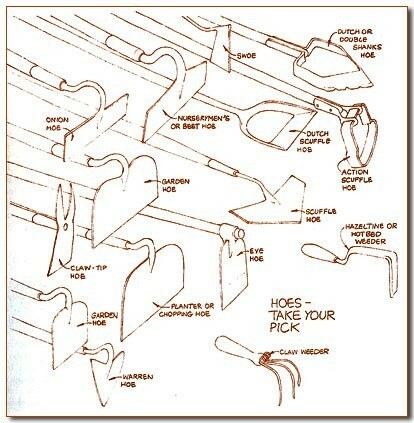 This is perfect for mulching and enriching the garden. Add animal or green manure for a boost of nitrogen to the topsoil. Local farms are always eager for gardeners to take away their stockpiles of manure. I have cultivated a friendship with a neighbor who owns three horses. She only treats them homeopathically and with acupuncture, so I know there are no drug residues in their manure. This manure has no weed seeds either, as she uses untreated woodchips in the horse paddocks. Be cautious about manure mixed with hay, as it can spread grass and weed seeds over the garden. If you prefer, you can add nitrogen to soil using plant matter rather than animal residues. Grow a winter green manure crop of fall rye, winter pea, fava beans, winter barley or winter wheat, and plough it under in early spring. In spring/summer you can grow a warmer climate green manure crop using vetches, clovers, buckwheat, alfalfa, or phacelia. website, article by Patricia Lanza. 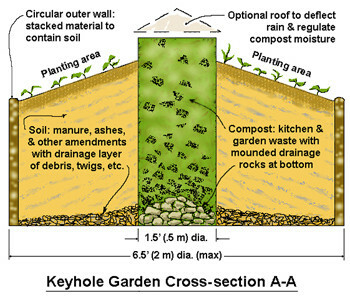 This is another kind of layered/compost/no-dig garden bed that can be made in a small space and includes a central compost bin that feeds the garden as it ages. It is great for areas of poor soils, areas that are flood prone and the beds are especially accesible for the elderly or handicapped when made high enough. 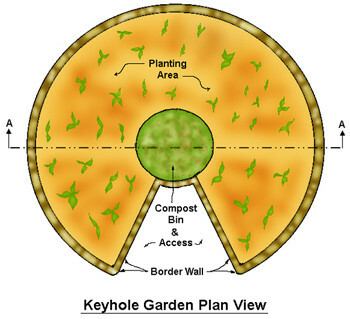 If you search 'Keyhole Garden' in a search engine, you'll see that every one of these gardens looks unique. 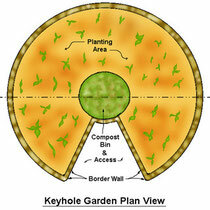 Watch a video on keyhole gardening in Africa. A website with more details. Click above to follow link to NPS.gov website for Fact Sheets on invasives. Here's a link to a good article about Hoemanship. Sponsorship and the listing of sponsors on this site or at the garden is not an indication of endorsement by Washington Township or the Washington Township Community Garden.